I watched Star Trek: Into Darkness on my Birthday and really enjoyed the experience as did everyone who watched it with me. The core actors really have the bit in their teeth and do an even better job at delivering these well-known characters than they did before which is good because Into Darkness invites comparisons. 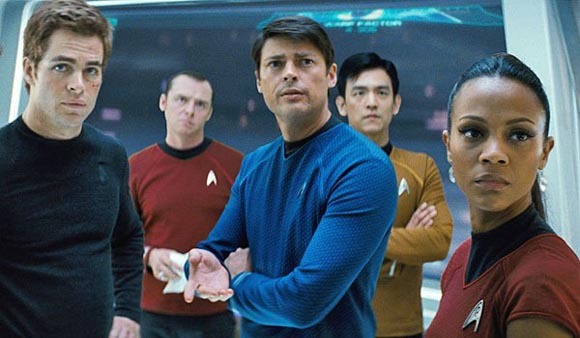 In some cases they are Chris Pine and Zachery Quinto are delivering the same lines previously spoken by William Shatner and Leonard Nimoy, but always with a twist. 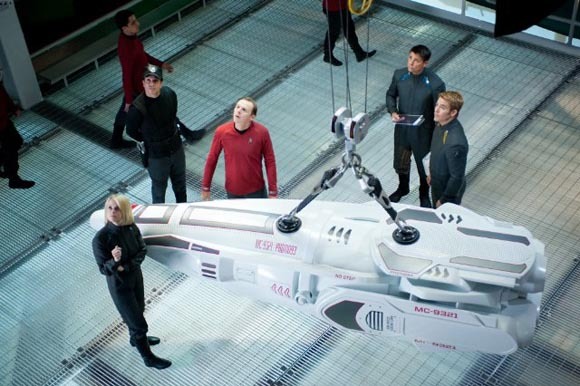 Star Trek: Into Darkness is an ‘alternate reality’ Trek following the new time-line established in Star Trek (2009), so it continues to explore the idea of change and consequence a la the Next Generation‘s episode Tapestry. It’s the same yet different, and we see how the characters differing experiences affect them, shaping their characters and sending their lives in new directions. Primarily Into Darkness is an action movie; it moves from one fast-paced scene to the next with nary a pause, but they keep it fresh by changing the location and type of action. The scenery and special effects are just beautiful; often very colourful I’m sure they are borrowing from the 1960’s Original Series colour palette. It’s a refreshing change from the often all-too-grey movies we are seeing nowadays and gives it its own unmistakable style. Nicely done! However, the fact that I liked the film isn’t going to prevent me from ripping it a new one! There’s much to praise but there’s also much to criticise. Into Darkness is an exciting, visceral experience but beneath the action, special effects and lens flares it has more holes than a wheel of swiss cheese. I felt that, when it comes to the relationship between Kirk and Spock, the movie was trying to run before it could walk. 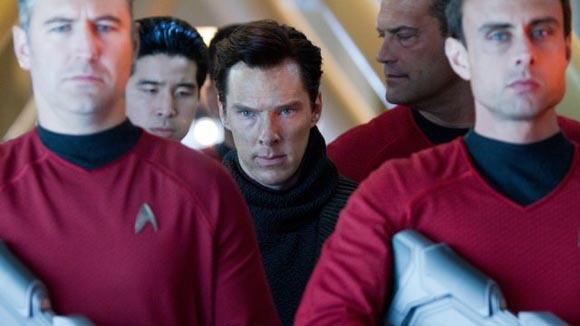 You see all we’ve really seen between Kirk and Spock is antagonism – in the previous movies they’re practically enemies – but in Into Darkness we are asked to believe there is a deep bond between them. Look, I’m a Trekkie and I know about the bond between Kirk and Spock in the original series, but that was in another universe. In this universe the foundation hasn’t been built yet. I was looking forward to seeing it being built. I’m not sure how much time was supposed to have passed between movies, it may well have been enough time to form a bromance, but the audience didn’t get to see that, yet are asked to invest in it. I couldn’t. If we are to believe they have this relationship we need to see it on screen please! This leads me to my next point: It’s undeniable that the action in the movie is extremely well executed, yet most of the people I have discusses Into Darkness with said that the parts they enjoyed the most were the quiet moments. Personally I think you need a lot of notes to make up a symphony, or, in other words, it’s important to counterpoint action with moments of quiet. There wasn’t anything wrong with the action of Into Darkness per se, there was just too much of it. The audience did not have time to catch their breath, and we could have used more time to understand the characters motivations. I thought the way they just leapt into a course of action without any show of consideration made them look stupid. The villain looks stupid too. And now we get into the SPOILERS so if you don’t want to know any stop reading here! The very last thing the villain should be is stupid. This villain is Khan, i.e. the same guy from TOS episode Space Seed and Star Trek II: The Wrath of Khan; he’s a genetically engineered super-man with superior strength and intellect. That’s right: superior intellect! So explain to me why he thought the safest place to hide his cryogenically frozen people was INSIDE BOMBS (which were not even disarmed by God!)? In the aforementioned Space Seed Khan simply wakes them up. He also plays into Admiral Marcus’ hands by hiding on the Klingon planet Qo’nos (aka Kronos) because Admiral Marcus (the real ‘big bad’ of the movie) wants to start a war with the Klingons and this is exactly the excuse he needs! Unless, amongst his already-extended range of genetically engineered super-powers, Khan can somehow predict Kirks unpredictability then it’s the worst move he could have made! 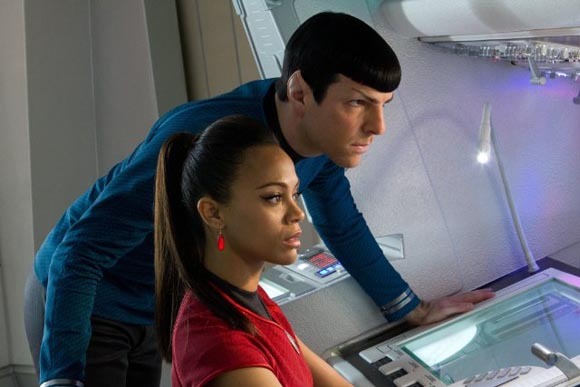 I was pleased with Uhura’s expanded role and that she was directly in the action. Uhura was always a ground-breaking character and it’s good to have a female voice as part of the story. 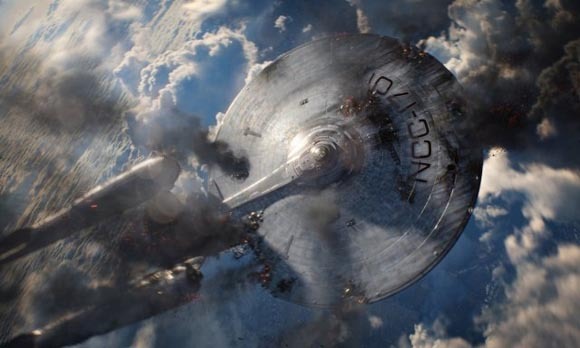 It’s all part of the vision for a fairer future that Star Trek represents, plus Zoe Saldana is such a strong actress it would be a waste otherwise! You may know her as Naytiri from Avatar. I think playing close to the original source material was a good exercise for the actors which brought them closer to the characters. I hope they bring the excellent characterization to the next movie – which I would definitely go and see – however I would not like to see the exercise repeated. Re-hashing the old can only entertain for so long, and there is such a lot that can be done with Star Trek, I’m hoping for a little more originality.